This section can be accessed from the top menu under 'Account> Review Tracking'. 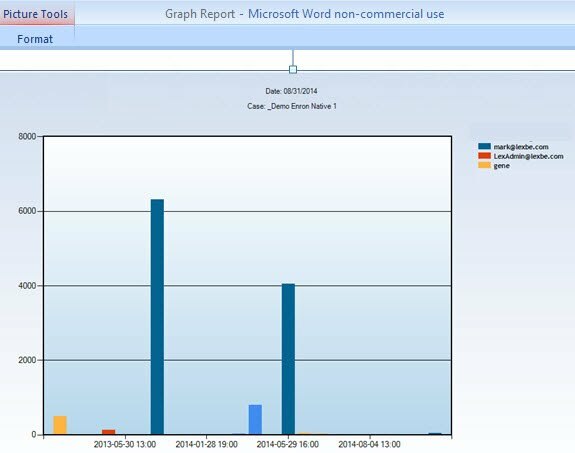 It allows you as the Admin User in the account to track the daily productivity of each reviewer and include in an Excel report. Please note that reports generated under this page will be linked to the documents marked as 'Review Status>HasBeenReviewed' from the Browse, Search or 'Document Reviewed By Me' from the Document Viewer>Disc pages. If you want to see and keep track of the documents viewed or downloaded by any user(s) and email the report to another person, you must be an Admin User and go to the Audit Doc Access page. 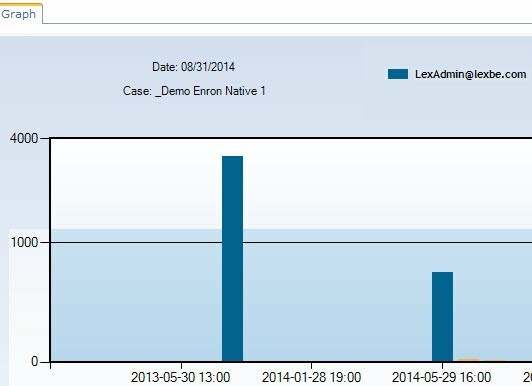 Daily Docs Reviewed: it allows you to see in the report the dates, which users were logged in and how many documents were reviewed by each user. Hourly Review Rate: shows the date and the total of documents per hour, the users were reviewing. Total Hours Reviewing: shows many many hours per day each user spent working in the current case. 1-In the Review Tracking>Graph tab, right click on the graphic and save as image (e.g. PNG) to your local desktop. Copy, or just 'Ctrl-C'. In multiple users and high volume of documents, this section will narrow the search and show results based on the terms you typed (specific information). For example, to find specific reviewers you will click on 'Select Filter>Reviewers' select a user email and then apply. This action will filter and display all documents reviewed within the user (s) selected. The 'Export to Excel' button allows you save the current view in the browser window to an Excel spreadsheet format. First you need to select the documents. Lexbe eDiscovery Platform supports the two most recent versions of Excel for Excel integration (2010 and 2013) and we recommend an upgrade from previous versions of Excel before you start exporting logs. Please note that if you are using previous versions (before 2010), you might lose some formatting, hyperlinks, scripts image files (HTML only), or lists of data in a single cell.